What are the Top 2 DevOps Books? If you are looking to learn more information about DevOps it will take you a while to figure out what are the top 2 DevOps books on the internet today. I am not a huge fan of reading, so when I read, I really like to enjoy the books I read. In addition, you want to make sure that you are getting the right information. There are so many thoughts around DevOps, and there is quite honestly a lot of misinterpretation on the subject, whether it is at a conference, on a blog, or written in books. You want to make sure you can understand DevOps best practices so that you can effectively implement those either as a consultant or an employee for the organization you are working for. As you probably already know DevOps is one of the key cornerstones of organizations that are looking to transform their development and operations processes. Anyone you talk with today is going to mention DevOps over and over again as a part of their IT transformation strategy. You want to make sure you understand and can actively contribute to the organizational objectives. Simply put, DevOps is DevOps is a software development methodology that combines software development with information technology operations. The goal of DevOps is to shorten the systems development life cycle while delivering features, fixes, and updates frequently in close alignment with business objectives. Several years ago, I was at a conference, and I heard about a particular book that sounded really interesting. It isn’t your typically technology book because it is written as a fictional novel. Is is called The Phoenix Project. It really is a fantastic book and quick, easy read. The book helps you to identify with key challenges and issues that are facing most corporations from both a business and a technology perspective. Here is a high level summary of the book. It really helps to be able to understand the challenges that Bill faces, and the steps he and others take in order to overcome the daily struggles. The organization is constantly putting out fires, so they are unable to get ahead of these issues and develop a long term strategy. I have personally been in several organizations, and part of the reason why I really enjoyed the book was that I could identify with the challenges that the characters in the book were facing. 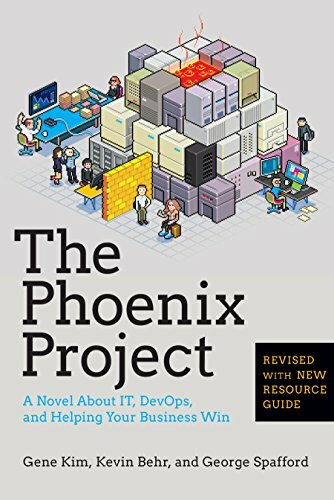 The Phoenix Project authors (Gene Kim, Kevin Behr, George Spafford) got together and wrote the book leveraging the ideas and concepts from a prior book call The Goal, which I also recommend. The second book which I highly recommend is The DevOps Handbook. This book is more of what you would typically expect from a technology book. It helps you to gain a much better understanding of what DevOps is, and what steps you can take to implement DevOps in your organization. 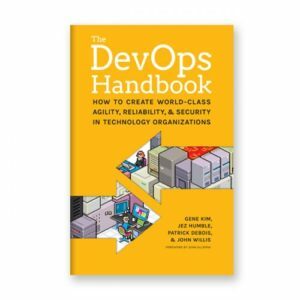 The authors (Gene Kim, Jez Humble, Patrick Debois, John Willis) are all industry heavyweights and really have perfected the art of DevOps and are helping others to do so. Here is a high level summary of the book. More than ever, the effective management of technology is critical for business competitiveness. For decades, technology leaders have struggled to balance agility, reliability, and security. The consequences of failure have never been greater―whether it’s the healthcare.gov debacle, cardholder data breaches, or missing the boat with Big Data in the cloud. I think a combination of both of these books will help you gain a tremendous understanding of DevOps. After the initial reads, I keep both of these books handy, and I have read them at least a few times. In addition to that, I have recommended them multiple times to everyone who is interested in learning more about this software development practice. Connect with people at your current job. Many years before LinkedIn, you had to keep up your previous co-workers through email or phone. LinkedIn has made it a lot easier. I make sure that I periodically add coworkers. It helps to keep things current. It is really important to add those individuals who you work with and trust because they know you the best. Connect with others who are industry experts. It is important to connect with others who are influential within your industry. They will help you learn more about your profession, and they might be able to help you land your next dream job. Limit your connections within LinkedIn. Currently there is a restriction of connecting with 30K members. Once you hit that limit, you will not be able to add any additional people within your network. This is somewhat limiting and many within the LinkedIn network are requesting this restriction is lifted. Once you have hit 30K, people will need to follow you. I made the mistake early to follow everyone and then I saw the LinkedIn limit. I am more cautious now, so I make sure that those who I connect with are relevant. I currently have over 24K connections. Follow LinkedIn Influential People: There are several people such as Oleg, Brigette, and Cory are really helping others in any way they possibly can. I have seen many instances, where their influence has helped to get people jobs. It is amazing to see the positive power and the influence that those are providing. I have followed then and plan to stay connected with them and I know I will learn a lot from them. Hopefully this information has been helpful and will help you build your LinkedIn network. 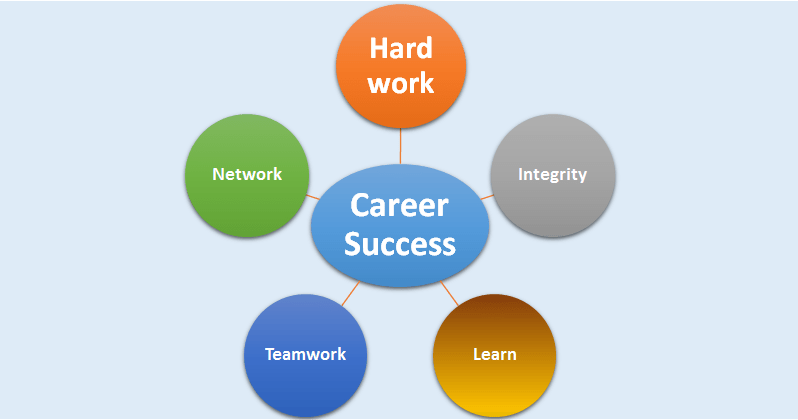 If you are looking for additional career tips please read 5 Steps to Increase Your Career Opportunities. 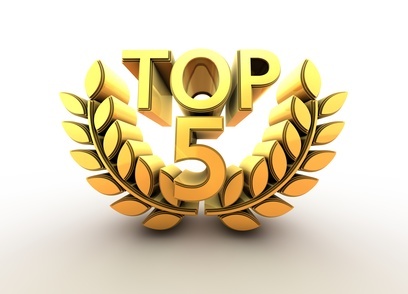 Top 5 Agile Pitfall #5: Folks, It Isn’t All About Velocity! Perhaps one of the most valuable lessons for me personally was to understand it isn’t all about agile velocity. There are other items that are more important, with one of those being quality. Now, my agile team has successfully doubled their sprint velocity over the past year, which is a tremendous accomplishment. We have some very aggressive targets because we were consolidating systems into a single platform and those were date dependent based upon some licensing renewals. Our organization was acquired by a smaller company and they were determined to put an agile product model in place. I viewed this as a tremendous opportunity, and I was responsible for managing one of those teams. There were certain measurements the agile teams were rated on and one of those was agile velocity. Agile velocity is important because it helps you be able to predict how much work you can consistently implement within a given sprint. Our initial targets weren’t too aggressive, so we were able to consistent deliver on what was planned sprint over sprint. The agile team began to experiment and I really challenged the team to go above and beyond and it was too much for the team to handle at that point, so we ended up dialing back to a more realistic target. While Agile Velocity was an important metric, we failed to ensure that one of our stories was working in production before we started the next sprint. This resulted in a pretty major quality issue which we eventually recovered from, but the agile team’s reputation was tarnished at that point. It took several months for us to regain our confidence and move past this issue. My most humble recommendation is that your team focuses on all the different elements, especially quality so that you won’t have issues down the road so that you can avoid: Agile Pitfall #5: Folks, It Isn’t All About Velocity! I hope this information has been helpful and I believe you can gain some valuable knowledge about how you can avoid my Top 5 Agile Pitfalls. Agile is great, and I am an avid fan. My team has been successfully using it for a few years now and we have been able to successfully make the transition. There are some things that I have learned about agile and some pitfalls that your agile team can avoid by learning from my mistakes.